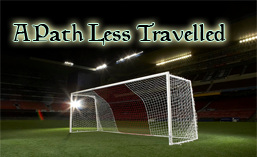 Posted in 2021, A Path Less Travelled, Club History, Newcastle Jets, Season 2021/22. Posted in 2021, A Path Less Travelled, Newcastle Jets, Season 2021/22. Tagged America (MEX), Arsenal, Kashima Antlers. Posted in 2021, A Path Less Travelled, Newcastle Jets, Season 2021/22. Tagged Adelaide United FC, Brisbane Roar FC, Melbourne Heart FC, Wellington Phoenix FC. Posted in 2021, A Path Less Travelled, Newcastle Jets, Season 2021/22. Tagged Al-Rayyan. Posted in 2021, A Path Less Travelled, Newcastle Jets, Season 2021/22. Tagged Central Coast Mariners, Melbourne Heart FC, Melbourne Victory FC, Western Sydney Wanderers FC. Posted in 2021, A Path Less Travelled, Newcastle Jets, Season 2021/22. Tagged Perth Glory FC, Suwon F.C., Sydney FC.